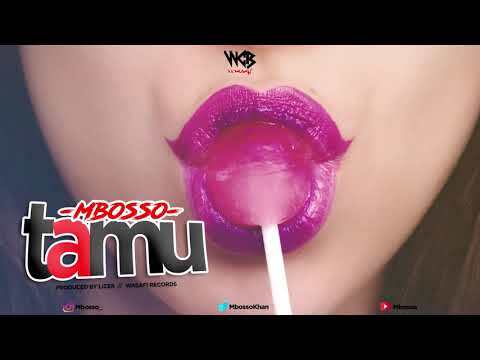 Talented Tanzanian singer, Mbosso comes through with a new song titled “Tamu” and judging by the cover art for the song, you already know this one will be saucy as hell, yeah? Produced by Lizer, this song is the first we are hearing from the Wasafi Records man since September when he gifted us “Hodari” and it is cool. Mbosso is no small fish in Tanzanian music circles having released a number of top songs and collaborated with some of the biggest names around. Songs like “Nipepee”, “Nadekezwa”, “Alele”, “Shida”, “Zilipendwa” are just a few of the songs that the industry has been blessed with by this talented singer whose influence continues to grow everyday as well as his fan base of course. Earlier this year, he had teamed up with Bahati on “Futa” in June before joining Lava Lava on Diamond Platnumz‘s “Jibebe” later in August. Other songs that were released by Mbosso this year are “Watakubali”, “Picha Yake”, “Nimekuzoea”, “Alele” and of course “Hodari” released recently in September. He packs all that magic into this new song and delivers massively as he guns to end the year on a high note.